The Real Steel T109 Flying Shark is designed by custom knife maker Ostap Hel of Poland and the flipper knife is an instant classic. The stonewashed blade made of Sandvik 14C28N ensures the longest possible cutting edge. The blade is flat-ground and attached with a ball-bearing. The knife is held together with a special pivot screw and a handle screw, which allows easy cleaning and maintenance without compromising stability. The handle of the T109 is equipped with a carbon fiber insert, which creates lightness and structure. 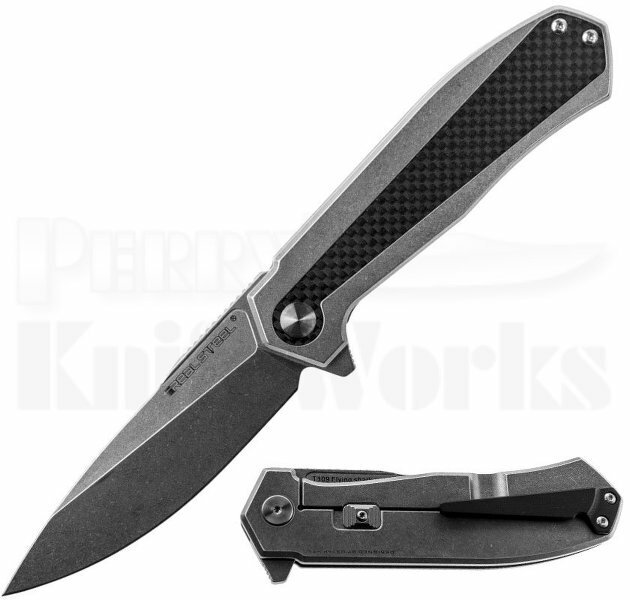 Further details, such as the tip-up pocket clip from G10, the angular beta-plus lock guard.